DETROIT — A limousine can be many things: transportation of choice for prom, a status marker, and a bit of a paradox. Look at me, limo clientele seem to be saying, but don’t look at me. Regardless, a limousine certainly serves as a handy metaphor for material excess and the trappings of ostentatious wealth. Perhaps that’s what made it so viscerally satisfying to watch artist Jon Sasaki — and a team of collaborators including a crew of students from Cranbrook Art Academy and two celebrity welders — cut one into pieces. 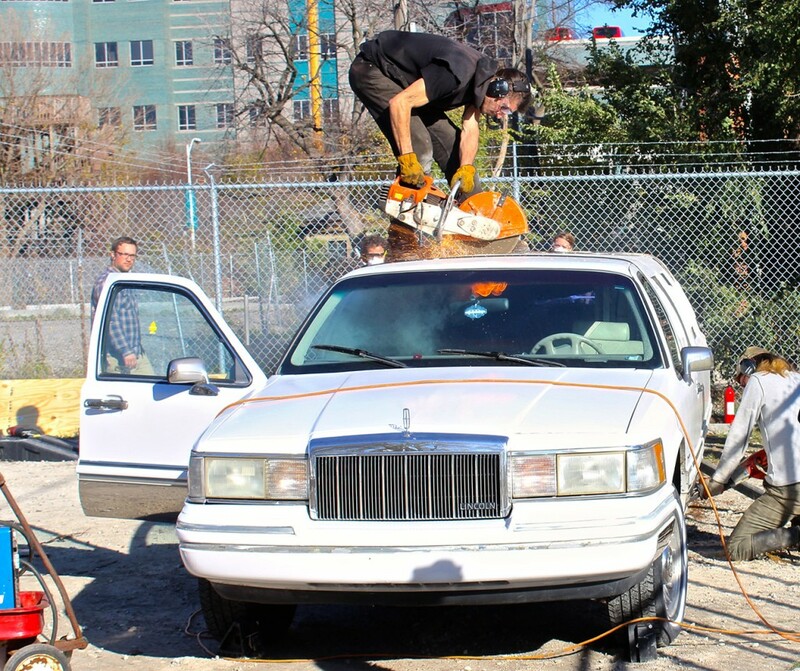 The time-based performance was titled “The All New 2015 Rightsized Limo” and took approximately six hours on Sunday. In that time, the middle stretch of the limo was cut away from the front and rear ends of the vehicle, which were then pushed together and welded to create a “rightsized” version of the vehicle, which was ostensibly proportionate to a luxury sedan, only with more toxic fumes and solder drippings. The event prompted an art-tailgate party in the Museum of Contemporary Art Detroit (MOCAD) parking lot, which hosted the performance as part of the Mike Kelley Mobile Homestead’s multi-year investigation of art as a social force. Tailgaters included Detroit art scene notables, curious and mystified passers-by, and a coterie of observers from CandianResidency.us, an artist-in-residency program for Canadian artists to work in the US. 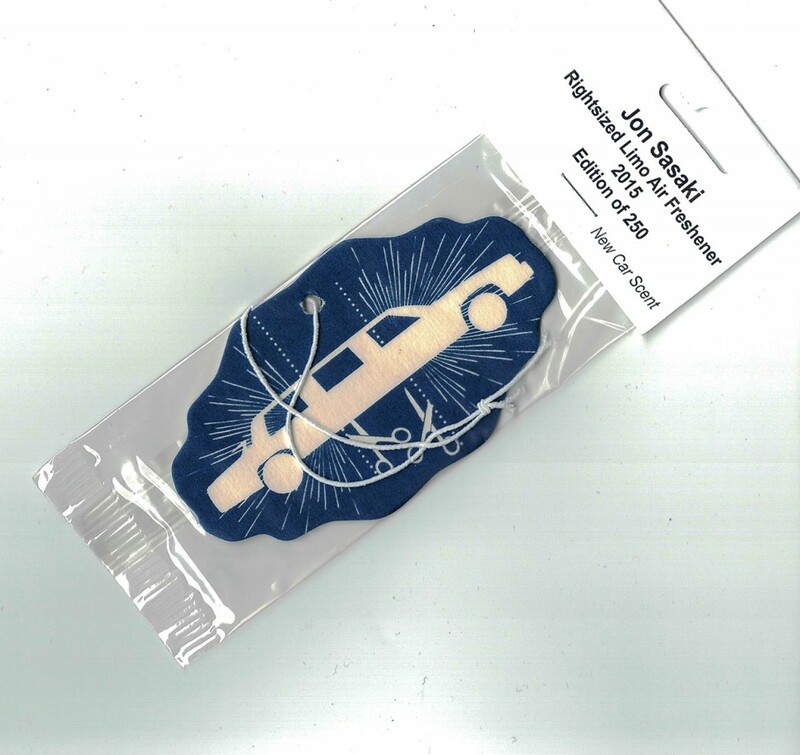 With each project it collaborates in, the residency generates “North American souvenirs,” in this case, 250 edition run of “Rightsized Limo Air Fresheners” that were available to visitors over the course of the performance.